The Golden Tap Awards weekend is fast approaching and it’s shaping up to be a great celebration of Ontario beer. 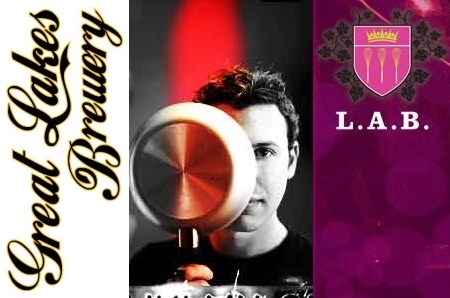 Friday night brings the first-ever Ontario craft beer dinner to beerbistro. The dinner, featuring seven of the top craft breweries in Ontario paired with delicious beerbistro cuisine, will be a great kickoff to the weekend. Tickets to the event have sold out. At the event you will be able to try sample-sized portions of all the beers available, plus try delicious beerbistro cuisine. As you sample the beers you will be able to vote for the “Best of the Fest” which will win a special Golden Tap Award as well. The Golden Tap Awards festival begins at 4pm on Saturday, August 21st. The awards show begins at 8pm, where we will hand out all the awards that were voted upon and the Editor’s Circle selections. Admission is free, and you can purchase food and drink tickets at the event. As part of this year’s Golden Tap Awards, we will be hosting an all-Ontario craft beer dinner at beerbistro on Friday, August 20th. This dinner will be a seven-course tasting menu paired with some of the finest craft beers in Ontario – participating breweries include Beau’s, Granite, Grand River, Denison’s, Black Oak, Great Lakes and Mill Street. Tickets go on sale Tuesday, August 3rd at 10am. The cost of the tickets are $48 each which is great value for a beerbistro dinner. Tickets can be reserved by calling beerbistro at 416-861-9872. The dinner begins at 6pm. 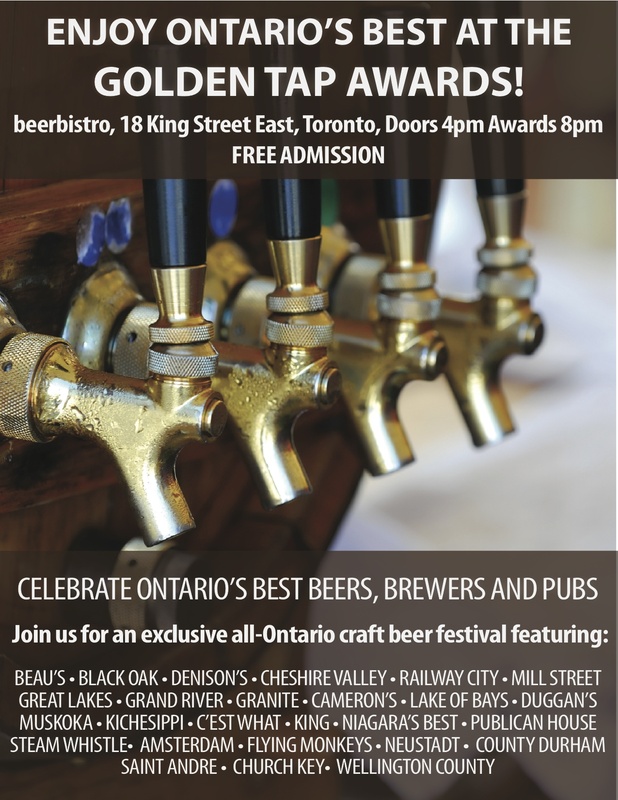 The Golden Tap Awards will be announcing the award winners alongside an all-Ontario craft beer festival at beerbistro on Saturday, August 21st, beginning at 4pm. You can still vote for the Golden Tap Awards until August 10th. 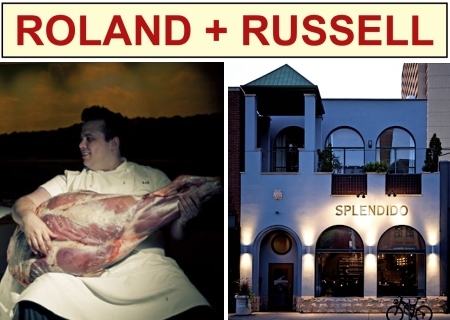 On September 1, 2010, Chancey Smith’s (130 King Street, London) will be hosting a special charitable event featuring gourmet food paired with Ontario-made, craft-brewed beer. 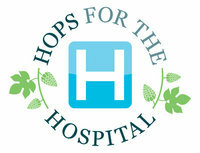 This event is called Hops for the Hospital and celebrates local healthcare, local food and local craft brewers – all in support of the highest-priority needs of the Department of Medical Imaging at London Health Sciences Centre (LHSC). 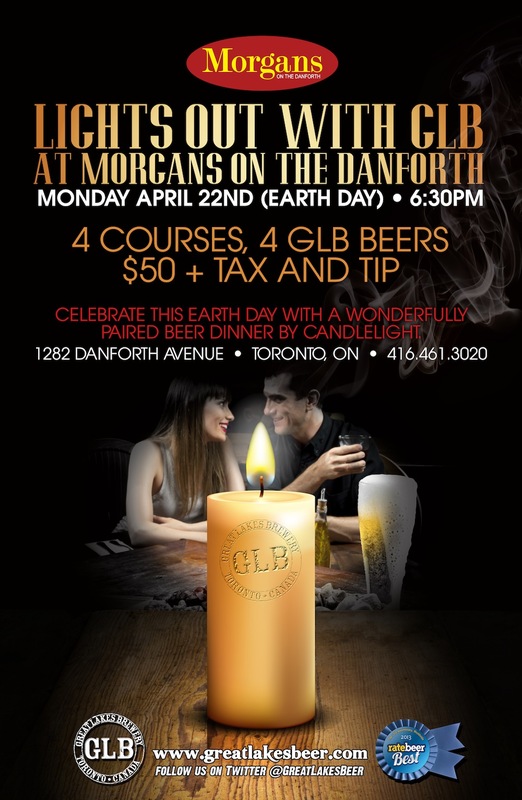 Tickets are $100 and include your four-course gourmet meal featuring four different Ontario craft-brewed beer selections. To purchase tickets, please contact Matt Brown at matt.brown@lhsc.on.ca or 519.685.8500 ext. 52017. The Golden Kiwi (47 Dickson St., Cambridge) will be presenting a four-course beer dinner on Tuesday, May 11th, with each course paired with a beer from Dutch Trappist brewery Koningshoeven. CHOCOLATE MOUSSE served with Mango, Lychees, and Berries. Brewers Plate Toronto has built an enviable reputation as one of the first and foremost locavore celebrity events in the city showcasing outstanding Ontario chefs whose dishes are charmingly paired with local craft brews. The event is rooted in slow food principles and uses local sustainable produce created with agricultural methods which promote and enhance biodiversity. The Brewer’s Plate brings to the table a rich and complex, local feast and deliciously demonstrates the viability of import substitution. Celebrating the sell-out success of last year’s event, we welcome back Jamie Kennedy, Brad Long, Mark Cutrara, Marc Breton, Karen Vaz and Brook Kavanagh as our founding Brewer’s Plate chefs who, together with other distinguished Toronto culinary masters such as Michael Steh, will bring to the table a host of delicious local treats paired with local brews for your delight. Our highly skilled Craft Brewers brought in exclusively from the Province are offering you an extraordinary variety of beers, and new for 2010 we are pleased to offer a food pairing with a locally crafted cider. Meet the chefs and Master Brewers from Black Oak, Cameron’s, Great Lakes, Mill St, Steamwhistle, Wellington’s and County Cider Co. New this year is Beau’s All Natural Brewing Co, Flying Monkeys Craft Brewery, Heritage Brewing, Scotch Irish Brewing, and Nickel Brook Beers. Enjoy the live entertainment, the good humour of our Patron David Crombie, our silent and live auctions, and great conversations! The Brewers Plate supports the work of Green Enterprise Ontario, a not for profit organization dedicated to bringing local, sustainable food to the marketplace, building the capacity of locally-owned businesses and promoting a healthy environment, strong communities, and buying local first. 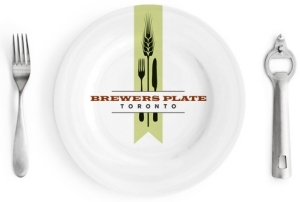 Tickets for Brewers Plate Toronto are $150, and are available now via the event website.